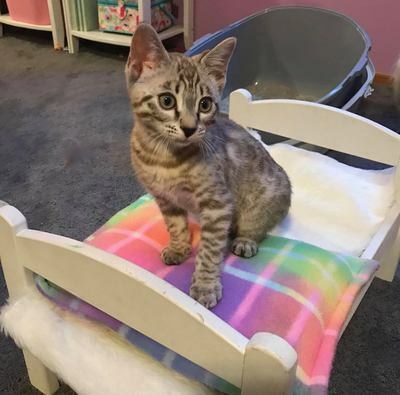 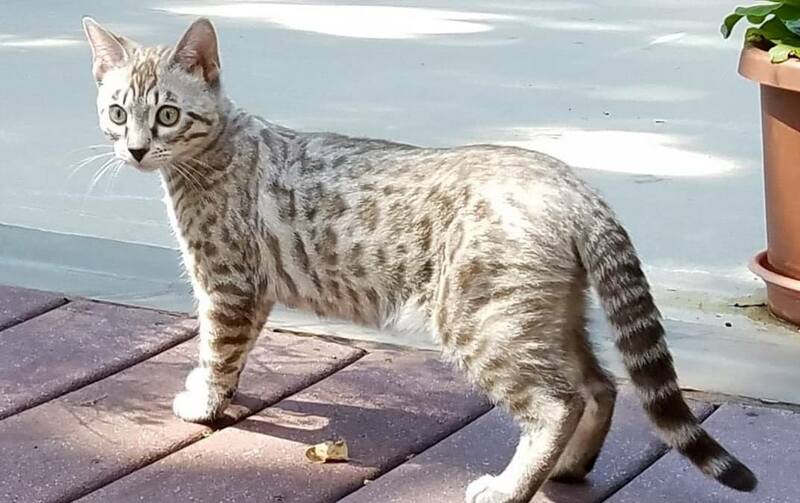 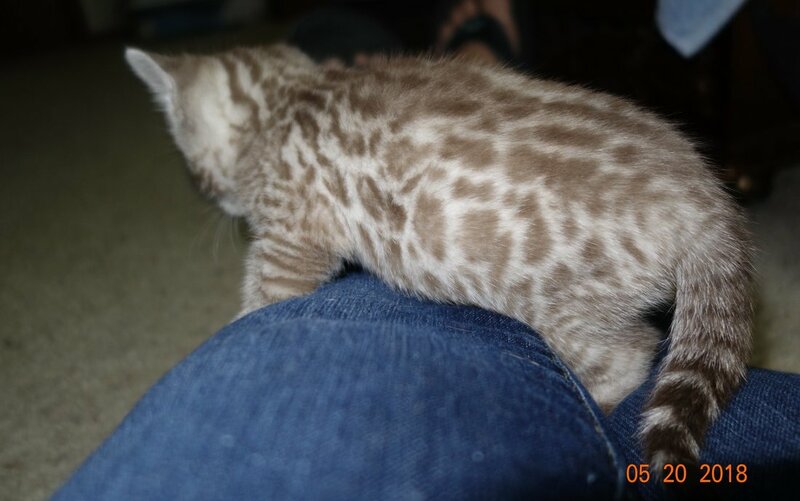 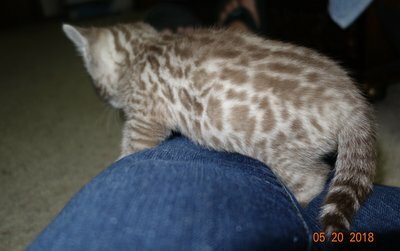 Katzpaw MoonShadow - Northwest Bengal Cats Beautiful, friendly Bengal Cats and kittens for sale in the Pacific Northwest of Oregon. 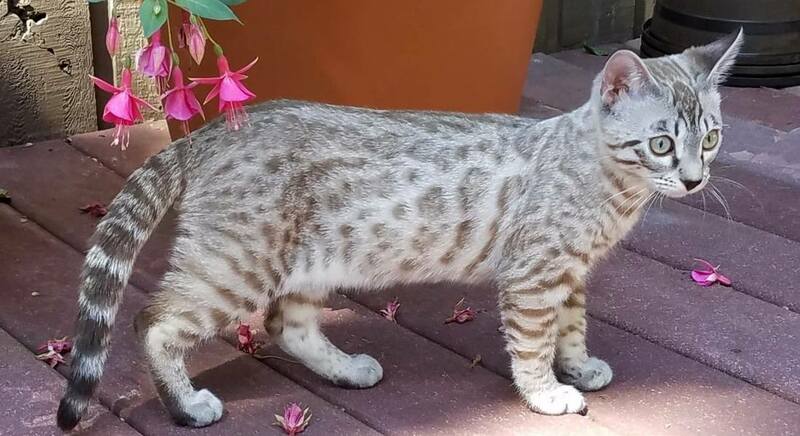 Katzpaw MoonShadow is our exciting home grown keeper from Hunter and Jaci, who is now retired and looking for a forever home. Shadow is a Seal Mink Spotted boy that carries Apb, an agouti gene that comes down from the Bengals wild ancestor, the Asian Leopard Cat. ​Whenever we pair two of our Bengals together we hope for a nice blending of their good qualities. 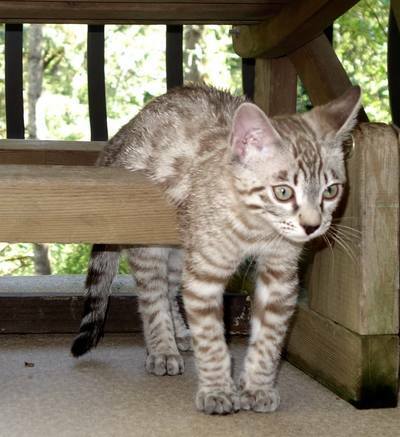 Shadow is an excellent example of this blending, some from his Mom and some from his Dad. 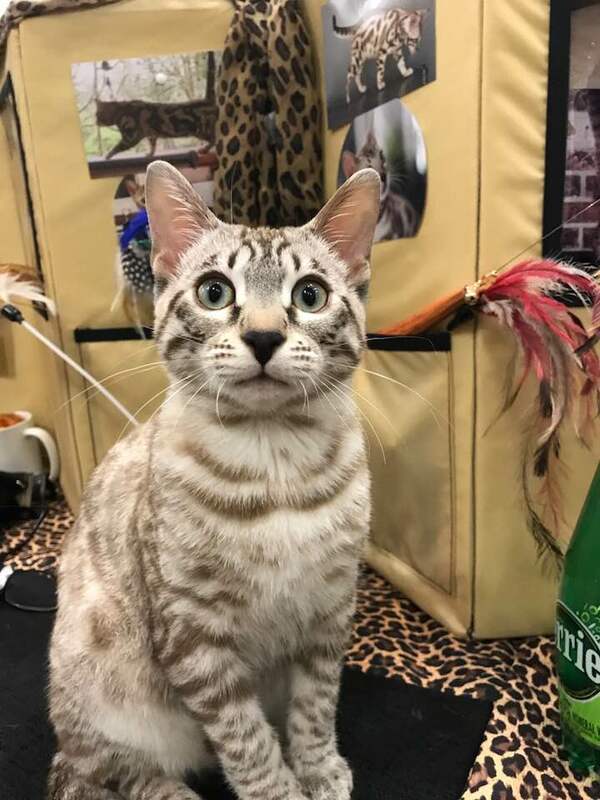 He is going to be an exciting boy to watch grow up, compete in the show hall and eventually make some beautiful Bengal babies.